Chloe Eau de Parfum Showergel gently cleanses the skin and fragrances the skin. 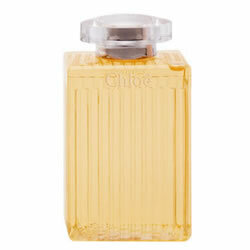 Chloe Eau de Parfum is a beautifully light and elegant fragrance with a young spirit and vintage design. Chloe Eau de Parfum combines unusual and modern notes with more traditional florals, for a perfume that glows with a bohemian warmth and elegance. Chloe Eau de Parfum begins with delicate blossoms of Freesia, Litchi, Peony, over a heart of Lily of the valley, Magnolia and delicate Rose and a vintage base of Powdery Notes, Cedarwood, Musk and Amber.